Developed around two iconic Homer paintings—the Worcester Art Museum’s The Gale (1883–93) and the Milwaukee Art Museum’s Hark! The Lark (1882)—the exhibition Coming Away: Winslow Homer and England explores the artist’s time in Cullercoats, England, in 1881 and 1882. Jointly coordinated by Worcester and Milwaukee, the exhibition features the most comprehensive group of oils made during or emerging directly from Homer’s time abroad. Shown alongside comparative paintings by English artists, these works complicate our understanding of Homer’s art as purely American in subject and style. 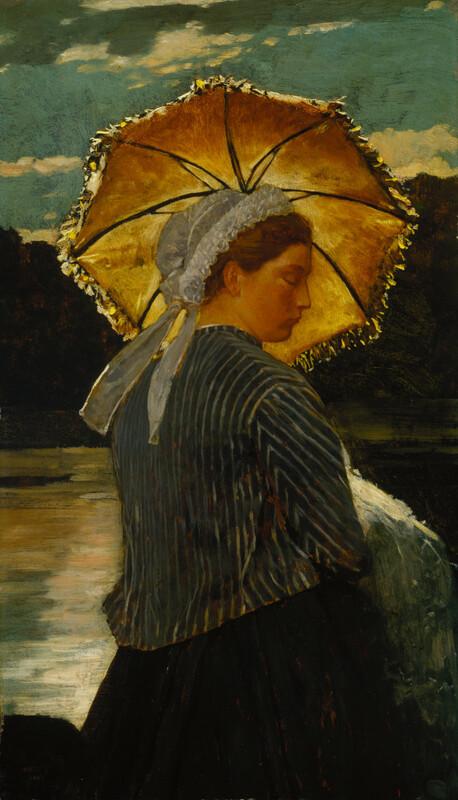 From the collection of the Terra Foundation for American Art, Winslow Homer’s Perils of the Sea and The Nurse are exhibited. This exhibition is also on view at the Worcester Art Museum, Worcester, Massachusetts (November 11, 2017–February 4, 2018).